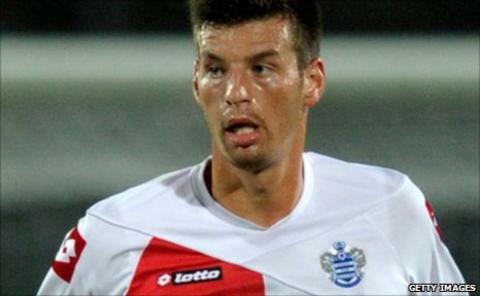 Queens Park Rangers have signed Brazilian defender Bruno Perone on a one-year contract, subject to international clearance. The 24-year-old free agent, who has been on trial with QPR for the last month, can also play in midfield. Manager Neil Warnock told the club website: "He has still got lots to learn but when the time comes I am sure we will be able to put him in. "He's already suffered a broken nose in training so he is settling in nicely!" Perone was last with Brazilian club Tombense and had a loan spell with Spanish second division side Xerez last season.